← Peppermint to Help Relieve Morning Sickness and Nausea Review – Does it Work? Marshmallows are confectionery treats that trace their roots back to ancient Egypt. The Egyptians, and other Africans used the root of the marshmallow plant as a sore throat remedy, and to treat other maladies. 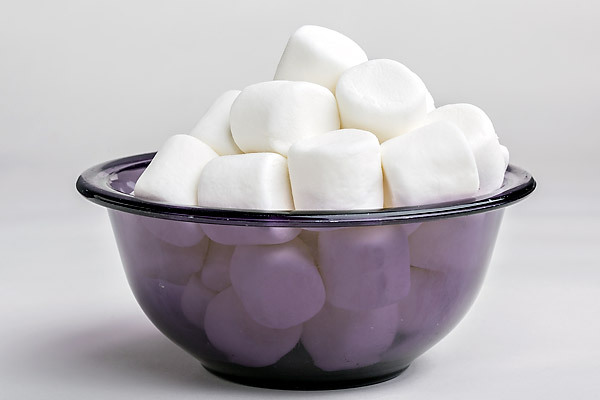 Today’s modern marshmallows no longer contain any marshmallow root (not even the homemade, all natural ones like these), and are made mainly of sugar, gelatin and water. Even so, some still claim that marshmallows can soothe a sore throat. Can marshmallows really soothe a raw and painful throat, even though they have no medicinal qualities left to them? Not to long ago, I found myself with a summer cold. I started fighting it with my Neti Pot as soon as I felt the first sinus tickle and managed to avoid most of the congestion. Unfortunately, I still got the post nasal drip which made my throat raw and angry and very painful. One evening my throat was so sore that I could barely talk or swallow. I had been saving an all natural hot beverage sore throat remedy for just such an occasion, but it was a hot summer night. In the sweaty stuffiness of our un-air conditioned house, I couldn’t stand the thought of a hot beverage, even to soothe my fiery throat. I started searching Pinterest to see if there was anything else that might help. I was shocked to find that several pinners suggested eating marshmallows to soothe a sore throat! I had never heard of such a thing! Honestly, it didn’t make any sense to me, and I really didn’t think it would work. But it was way too warm for a hot beverage that night, and I figured I had nothing to lose. So I sent my wonderful husband off to the store for a late night marshmallow run (note: late night food requests from a sick and also pregnant woman should always be honored!). I also had him pick up the ingredients to make the hot throat soothing beverage. I planned to make it in the morning, as I didn’t believe the marshmallows would have any real effect. I took a small bowl of big marshmallows into bed with me and tucked in for a little sick time. I noticed that the first marshmallow was easy to swallow – for once something didn’t hurt my throat on the way down. “This might work”, I said to my husband. “You’re crazy”, was his reply. After eating the second marshmallow I noticed that it didn’t hurt to swallow even my saliva. Also talking no longer hurt. My voice was still super hoarse, but it didn’t hurt any more! I popped a third, and then even coughing was painless again. OMG!! The marshmallows WORKED!! So, friends, it turns out that marshmallows are a great natural sore throat remedy! I’m not sure what it is in them that does the trick, (the gelatin, perhaps?) but they soothed my throat almost instantly! The pain was gone and my throat did not bother me at all even through the night. This will definitely be my go-to trick the next time the kids have a scratchy throat. 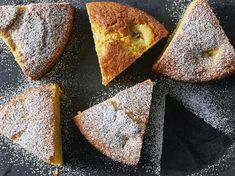 So simple, and easy – this one gets five leaves for sure! Have you ever tried marshmallows for a sore throat? What’s your favorite remedy for a scratchy, raw throat? This entry was posted in Health and Wellness and tagged better for you, easy, health and wellness, marshmallows, saves money. Bookmark the permalink. 72 Responses to Eating Marshmallows To Soothe a Sore Throat Review – Does it Work? I’d never heard of this! How amazing and certainly one I’ll remember for the kids. (Personally, I can’t stand marshmallows, but would tolerate them if it helped me.) I’m also surprised that you had trouble convincing the kids it was a better alternative to real medicine. If I told my kids they could have marshmallows to cure their sore throat, they wouldn’t give pharmacy medicine a second thought! Ooops I must have typed it out wrong. My kids would want to eat ALL the marshmallows – leaving none for my poor sore throat. They don’t know about drug store throat lozenges or syrups yet. I try to keep meds to the absolute minimum here. In the past, I’ve given them hot lemon water with honey for sore throats, but I’m thinking it will be marshmallows from now on! They work super fast, and preparation couldn’t be easier! Wow that’s so cool!! Must remember this for next time. I generally just take a spoonful of honey when I have a sore throat. This is way cooler though!!! Just a note regarding having a hot beverage on a hot day: don’t ask me why, but in the desert (at least, this was my experience along the Nile in Egypt) they drink hot karkade (hibiscus tea) to releaf the thirst. Even if it incredibly hot outside, it actually work and not bad at all! Interesting! Perhaps the hot beverage would have been okay, but MAKING the hot beverage when I was already sick and hot was not something I was up for that night. The reason hot beverages on a hot day are supposed to be good is because your body is trying to bring down your internal temperature – Hence it cools you off. Same as a cold beverage on a cold day – your body is trying to increase your temperate from the cold drink – so warms you up. This is a remedy I’ve never heard before! Try it out – I was SHOCKED when it worked – and worked great! Wouldn’t you know I’m battling a nasty cold and somebody just ate the last of the marshmallows! I’ll pick some more up and try it! great idea how to make marshmallows???????????? Medicine never tasted so good! I’ve heard of honey to soothe sore throats and stop coughing but not marshmallows! My oldest son doesn’t like honey so I can’t wait to tell him he has to eat a marshmallow the next time he gets a sore throat. Of course, I’m afraid my youngest would have a sore throat every day if he knew about this one. Thanks for the great tip. Great info to keep in my “toolbox” of natural cures. Thanks for trying it out. I am intrigued. Definitely plan to try out this home remedy, and I KNOW my girls will love it; they hate the medicine. Thanks! Try it out – it really works!! Hey i read where you said you used the big marshmallows. I have a bad of the mini ones. How many do u think I would have to eat to help my sore throat?. When I wake in the mornings it hurts so bad and at night but burns in my chest and throat when I cough in the morning. I’m glad it helped her! My husband has been suffering through a sore throat for the past two days. A Monday ritual of mine is browsing the Barnhop and that’s when I saw this post about marshmallows. Needless to say, he tried it. We both fell out laughing, amazed that it worked! I packed him some more (along with some cough drops) for work tonight! Thanks! Crazy, right? I can’t believe it works either, but it sure does! Well, I have a daughter who wakes up every morning with a sore throat. We are going to try this one FOR SURE!! Coming over from Time-Warp Wife link-up. I wouldn’t recommend products derived of mostly sugar as a diet to anyone. As suggested It’s likely the gelatin that soothes the throat. A marshmellow is in no way actually fixing the sore throat. Just to clarify by “fixing” I obviously mean fixing the cause of. The sore throats are often related (at least for me so I suppose many people) to certain sugars. I think you’ll find these clear up if you remove the cause of them, which is more than likely diet related. I would be happy to have you share this and any other ideas you would like to link up at “One Creative Weekend” on OneCreativeMommy.com. The party is open every Fri-Wed. I hope to see you there! I am definitely trying this! I get horrible sore throats when I’m sick so I’m crossing my fingers 🙂 I’m featuring you at the party this week, most viewed!! Great – thanks Britni! Hope you’re feeling better soon! Cool! I will be trying this next time I get that yucky sore throat! I tried this too last weekend, after reading about it here – it really did seem to work, thanks. Wow! I thought a first that we were screwed since there is no longer marshmallow root in marshmallows, but… regular, sweet, we-already-love-them, cheap marshmallows?? Great! I’ll have to keep this in mind! Thanks! OMG — I love this. I am soooo glad you posted this… here I was feeling guilty over eating the marshmallows that are in my house and then I read this post! Yay! (LOL – can you tell we never have junk in the house… so when we do I go overboard and then feel all guilty). Just tried it and I really feel like it did work. Not sure how long the feeling is going to last, but I am grateful for the relief, even if it is temporary. I’ve had strep throat, or some type of viral infection in my throat for the past three days and as it is thanksgiving, IT’S BEEN MISERABLE. So all day yesterday I drank Vinegar straight out of the bottle, hoping it would kill the bacteria along with doses and doses of flu medicine ever 4-6 hours. Needless to say, I HATE being sick! But no matter what I did, it continued to hurt to swallow and to talk and to eat. So last night someone suggested eating marshmallows, and despite how crazy that sounded, I tried it out and OMG. The difference in my throat was amazing. Now I probably look like a crazy person sitting with a bag of marshmallows beside me, just eating them every so often. Between that and the vinegar, I’m almost healed. 🙂 Thank god. wow – this is the first I have heard of Marshmallows for sore throats. Thanks for sharing it on TALU today. I’m going to link this to my Facebook page. Wow – truly a Who Knew!? Thanks for the info. Pinning! Oh, for some marshmallows tonight! You described my present state–sore throat, the “drip,” a little bronchitis–exactly! Out comes the Neti pot, and I’m drinking lots of hot tea. What a great post! I’m visiting from TALU. Very interesting…that is a new one for me! Visiting from TALU. Just tried this for coughing…..OMGosh it works! I have been on Rx cough meds three days now, and they have not given me any relief. Several marshmellows later, the cough has stopped. Not sure how long it will last, but the last two hours have been a blessing! Be careful with sugar & sore throats! The strep bacteria feeds on sugar and will be harder to fight off if you continue to feed it. We learned this the hard way when my son had a very resistant strep infection for 6 weeks…it finally went away when we took away the Popsicles ! Good to know – thanks Jane! It’s the sugar, the sugar coats the throat soothing it so anything can pass down more easily and as your throat feels less irritated it gets a leg up on fighting off the pain. I am not a doctor, so how do I know this? About a dozen or more (MISERABLE) sore throats as a kid and I realized the best medicine was sugary drinks and food (soda or milk with sweet glazed bread) and tons of sleep. So if you’re out of marshmallows just grab something else full of sweetness and it will greatly help. I had at least 2 sore throats per year growing up and many scares throughout the year (I would wake up extremely thirsty all the time but I had to avoid water as it would cause another sore throat so I would grab a sweet snack with some milk and go back to sleep, still do this sometimes though I no longer get sick drinking water when I wake up) and I would as usual go to the doctor, get some medicine, get better eventually. I had known for various sore throats that soda made it easier to swallow food and I figured it was because of the sugar in it so one year (near middle school I believe) I decided to just skip the doctors visit and just sleep (sleep usually made the pain more tolerable upon waking up… usually), and while awake I skipped eating anything I couldn’t swallow painlessly and just stuck to milk and glazed pineapple bread, voila! The pain went away quickly and ever since then I’ve never woken up in the middle of the night crying my eyes out to my mother to drown me in Tylenol. My sore throats are no more than a slight annoyance indicating I need some rest, I never missed a day of middle or high school and I’ve learned to avoid medicating myself with harsh drugs every time I feel even slightly bad (this experience is why I absolutely hate drugs, when abused you basically refuse the body a chance to learn how to combat anything so that you don’t suffer from whatever illness you take the drugs for, too often they are used to sedate rather than treat when what the person wants/needs is treatment). Sorry for the long life story, I was reading another page (divacup) which led to another (neti pot) and I saw something on sore throats which is always intriguing to me seeing how other people deal with them. I’m very interested in sore throats considering my long history with them and wonder why more people don’t know to just take it easy and eat/drink sugary foods. But, yes, it is the sugar in the marshmallows, I agree. Helps coat the throat. And the gelatin in them also coats the throat. You can also follow the directions on a box of Jello (NOT sugar free tho) and don’t cool it in the fridge. Just drink it. Has the same effect as marshmallows on the throat. Again, gelatin & sugar. Sorry it didn’t work for you. Feel better soon! Thanks! It was 2 years ago since you posted this, but I hope you would be able to read this still. Thanks for this thread, I have a third-quarterly report in Science for tomorrow and I’m scared I might be picked for our Recitation, too. I’m fully worried, because I’ve got a hoarse voice, it’s really bad and I couldn’t talk, but along with some strepsils (I don’t know if this medicine-candy is known in the rest of the countries) and some warm water & salt gargling like a half of a cup only, because I couldn’t keep up and also heaps of water. Though, marshmallows made it through. My throat happens to be smooth and I could talk more than I would have and it’s all thanks to you! OMG Thank you ! Just went to Pinterest to find relief to my itchy gaggy sore throat and found your post. I thought how odd but it was worth a shot since my tea with honey/lemon was not working nor was the salt water gargle. and WOW I am believer ! For the past two days I’ve had a sore throat which has gotten progressively worse. As of this morning I can barely stand to swallow. Coughing is almost unbearable. I got on Pinterest and found this remedy. I’ve been sitting here eating marshmallows for the past ten minutes. Unfortunately, it has offered no relief whatsoever. I’m soooo disappointed! But thanks for posting this, anyway. It seems to help others. How many marshmallows do you eat?? Okay just tried it out since I had a horrible sore throat and it works. Well I only ate 3 big ones and it feels so mucb better it’s still there but much better. I’m going to eat some more and see if it will go away once and for all. I had read this post and was like all the rest of the population that thinks this is impossible, but I had a bad sore throat last weekend and opened the pantry…there sat a bag of marshmallows..
OMG it actually worked. I’m hooked now. No more meds or suffering for me. Im actually eating jumbo marshmallows rught now after waking up with a bad sore throat. I can still feel irritation but atleast i cant swallow without flinching. my sore throat is feeling great…. THANK YOU! I just tried this now & I finally feel some relief. I had the jumbo marshmallows but couldn’t fathom to eat one big one. So, I cut it in half chewed it so that it’ll turn into small pieces before swallowing. Every time I swallowed it felt like it was going away. By the time I got done w/that piece, I felt so much better & no more sore throat. I wish I would have saw this post last night because I felt so miserable & kept waking up on and off. I tried gargling warm water & salt like I normally do, but didn’t help this time around. :/ I even tried hot tea w/honey & a hot bowl of soup. That relieved it for awhile but then the sore throat would come back. :/ THANK YOU again! Me and my sister were sick with sore throats. We looked up a plethora of thing to help and tried them ALL. THIS IS THE ONLY ONE THAT WORKED!!!!!! We felt so much better after eating the marshmallows. Thank you for this tip! I have an awful sore throat and it hurts SO bad to swallow … I remembered reading somewhere a while ago that marshmallows sooth sore throats so I googled and found this post … went and got a bag of marshmallows HOPING to get relief since a few of the commenters said it also worked for them … but after eating handfuls of mini marshmallows my throat still hurts just as bad! 🙁 I was SO HOPING this woud help! now Im just wondering why it is that it works for some but not for others??? (because along with the comments saying it DID work i also saw a few that said it did not help) Im curious if its maybe the severity of the sore throat that depends on whether or not it helps? I’m so glad that the marshmallows work for you. I used to gargle salt water when I have a sore throat but I will surely try this in the future and see whether it works for me too. Thanks for sharing your experience!